Start a new Thanksgiving tradition this year with a family 5K. I ran into an awesome young man at our local 5K fun run in July. It was his Turkey Trot shirt that caught my eye and I had a fun time talking to him about this fun family tradition. 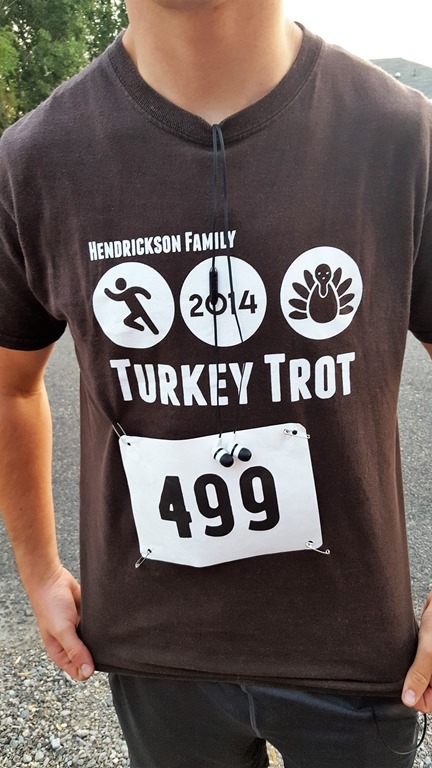 Every Thanksgiving, this family hosts a 5K race for all visiting family members and friends. All that want to participate, bring their running or walking shoes and burn off all those weighty Thanksgiving dinner calories before the turkey even comes out of the oven. 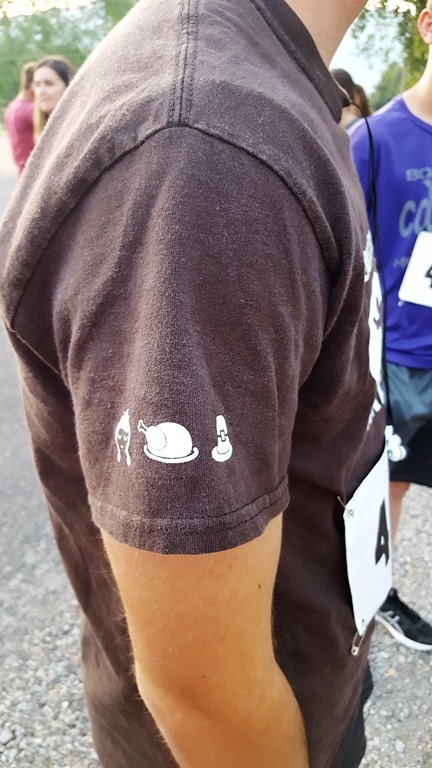 What a fun idea to have t-shirts made for the big race- a fun memento of a fun day. I love any activity that gets family members up off their seats and moving and a family turkey trot certainly does that whether you trot or waddle across the finish line.